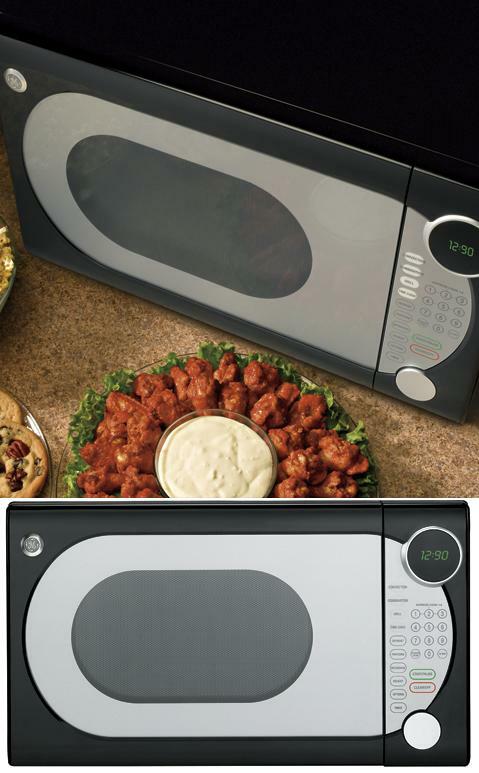 Great for a good start in the morning with a perfectly made breakfast with the help from Kurps’s 6-slice Toaster Ovens. Large 0.59 cubic foot capacity is one third larger than competitive 6-slice models. 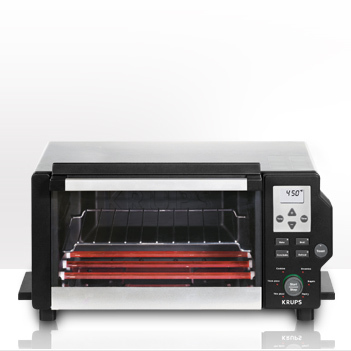 Convection baking function circulates heated air around food for a faster, more even cooking result. Patented quartz cycling technology alternates 1600 watts of power to each set of heating elements to produce maximum radiant hea. Fast, even baking through precise temperature control. 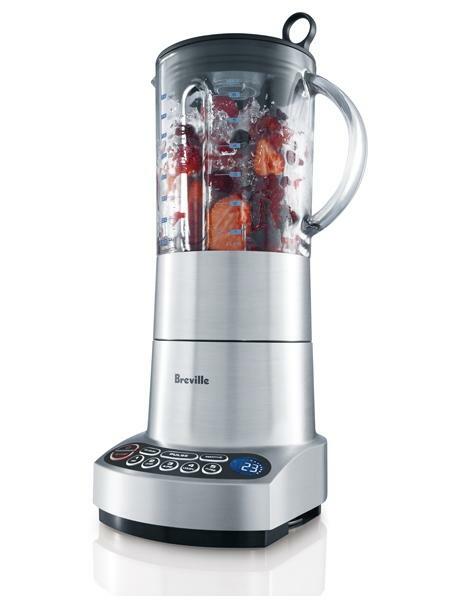 Breville ikon Blender A world first innovation: A blade – bowl system which produces even, consistent results every time from wet to dry ingredients. The patent pending idea: A super-wide curved blade operates parallel above a bowl eliminating dead zones by created a continual folding movement: So efficient that it runs at slow speeds and blends in super fast time. It’s quiet, smooth, easy to clean and simple to use. Tea fans will appreciate the inner workings and the history behind SAM, Russia’s Man Works Design’s samovar makeover. Traditional samovars are ornate brass urn-shaped containers that heat water from the inside out – solid fuel in the middle, water in the surrounding container. 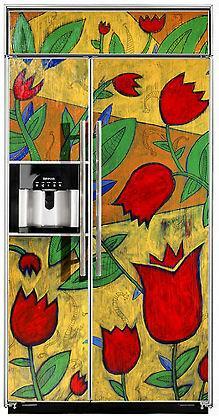 SAM functions the same way but eschews the 18th century look in favor of a distinctly modern design. The perfect pot of tea with the Zarafina Tea Maker. 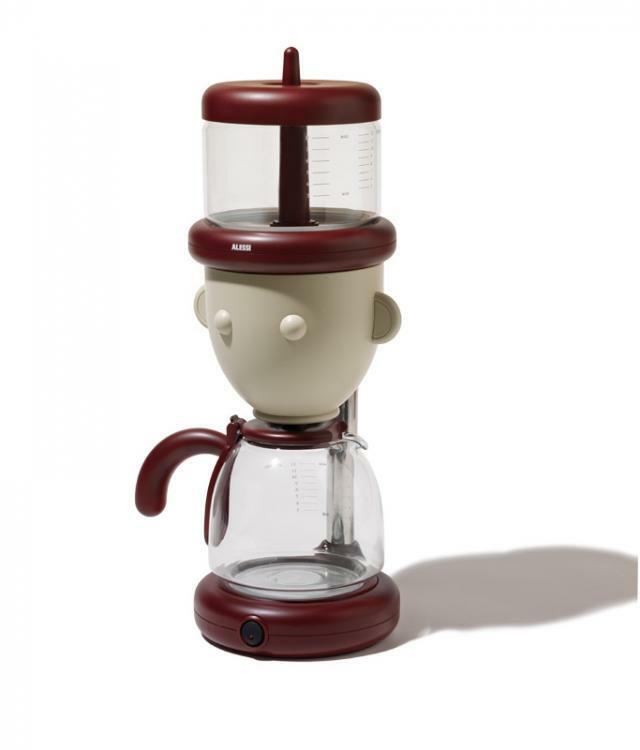 This automatic tea maker steeps and dispenses up to 16 oz. of tea at a time, with built-in setting for a variety of teas. Whether you are brewing black, oolong, green, white or herbal teas, the Zarafina tea maker can be set respectively for each individual type of tea steep time and ideal water temperature. 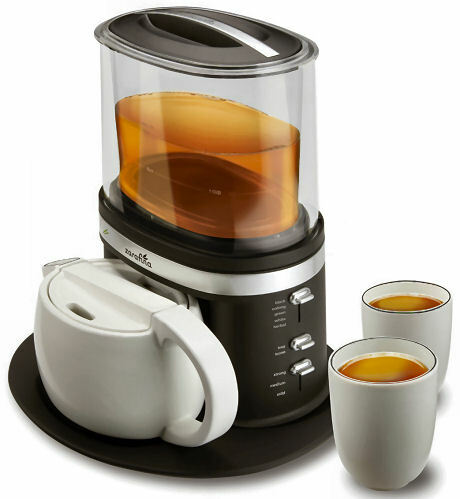 This automatic tea maker can also be adjusted to steep your preference of tea strength, from mild to strong, and has an adjustable setting for tea formats, steeping both loose and bagged teas with equal ease. The unit has a modern dark shale color with stainless steel accents, and comes with a ceramic tea pot, tea cups and a serving tray. Zarafina Tea Maker brews a perfect cup every time. The perfect product for healthy cooking at home. Food cooked in this free standing Miele steamer will certainly delight you. The steamer preserves intensive, unspoiled natural flavour as food is not immersed in water and does not become bland or overcooked. 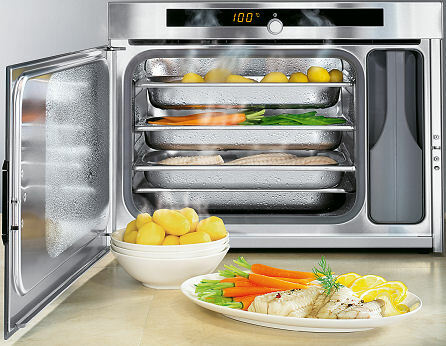 Miele makes sure, the steamer retains its fresh, natural color, vitamins and minerals. Miele builds first-class kitchen appliances, and this steam oven is attractively designed and performs just perfectly. Refrigerator above, freezer drawer below. A compact 30″ wide, the 611G from Sub-Zero gives you more than 16 cubic feet of storage capacity in all. The two-tier pullout drawer includes an ice maker. Available in Overlay, Stainless and Framed. 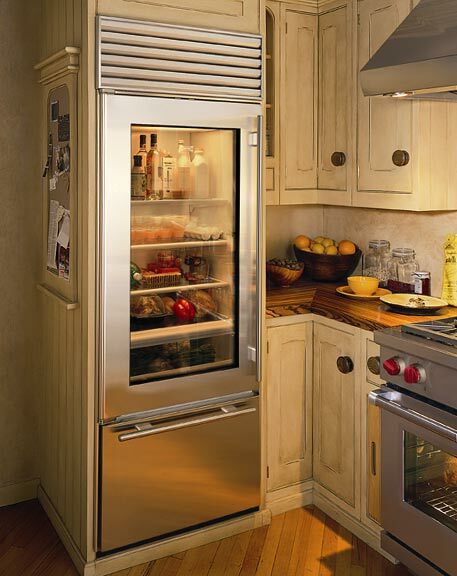 Stainless steel models come with an 11-inch heavy duty louvered grille, one-inch diameter stainless steel handles and a stainless steel toe kick. Shhh… that’s the sound of silence of the GE Profile™ dishwasher. 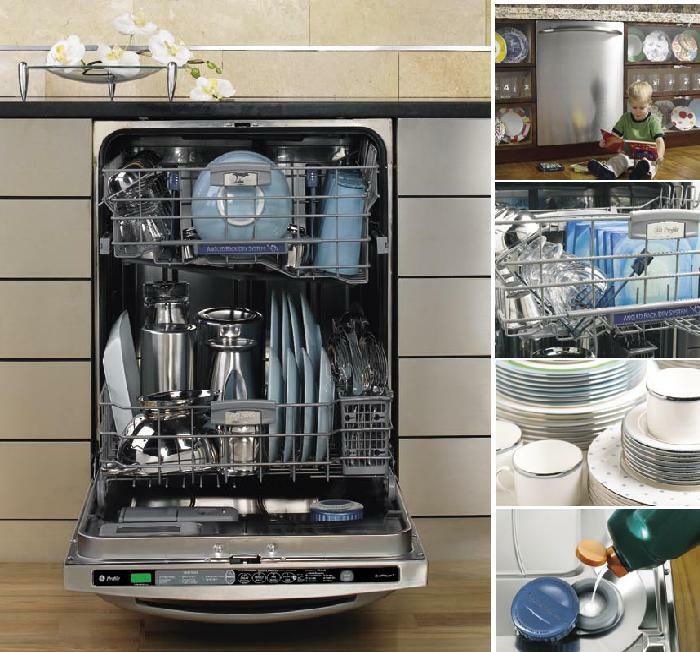 With the advanced QuietPower™ 7 sound package, this dishwasher is as quiet as a library. Angled Rack Dry™ system securely holds mugs and cups at an angle so water won’t pool on top. Single Rack Wash™ selection saves time and energy by washing up to five place settings in the top rack only. It’s easy to see the difference. The BrilliantClean™ towerless wash system with CleanSensor™ senses details about each load, adjusting cycle time and water temperature as necessary to get dishes remarkably clean. A very joyful and beautiful product designed by Jenn-air that will instantly lighen up your kitchen. This model requires custom-made wood or decorator panels and custom handles (purchase panels and handles separately) for a refrigerator that blends in entirely or adds your personal flair to the kitchen. The through-the-door ice and water dispenser adds convenience. Flexible storage features inside adapt to your needs now and later.